Alright you guys, I am BACK with a fresh 5-in-1 DIY for you: how to embellish all those friendship bracelets you’ve been cooking up!!! 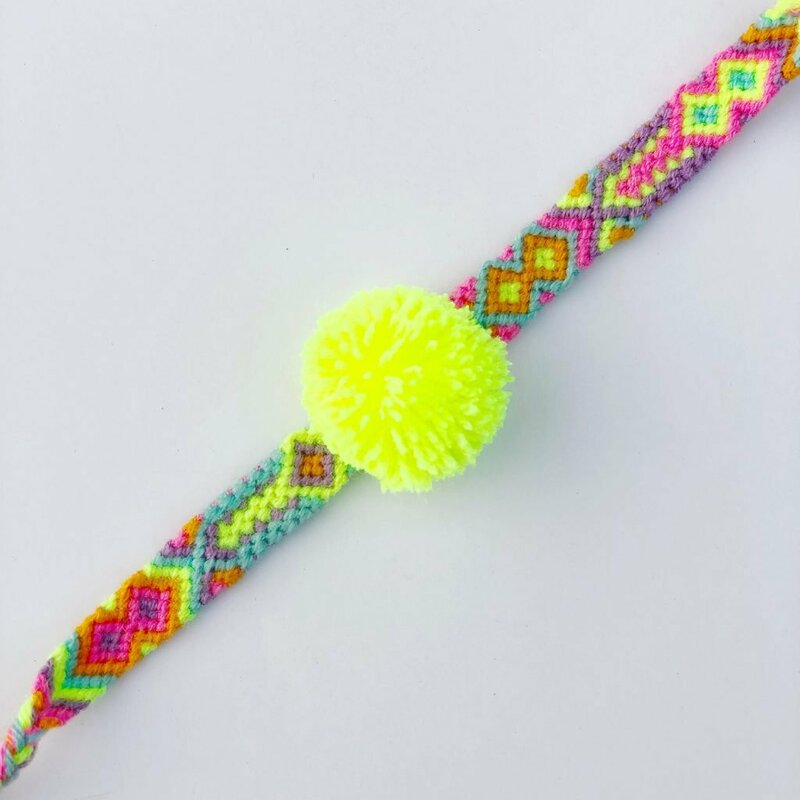 It’s been so awesome to see so many of you getting knotty with our Friendship Bracelet DIY Kit, crafting up bracelets in candy stripe and chevron patterns as well as reading friendship bracelet patterns to create all sorts of funky designs. 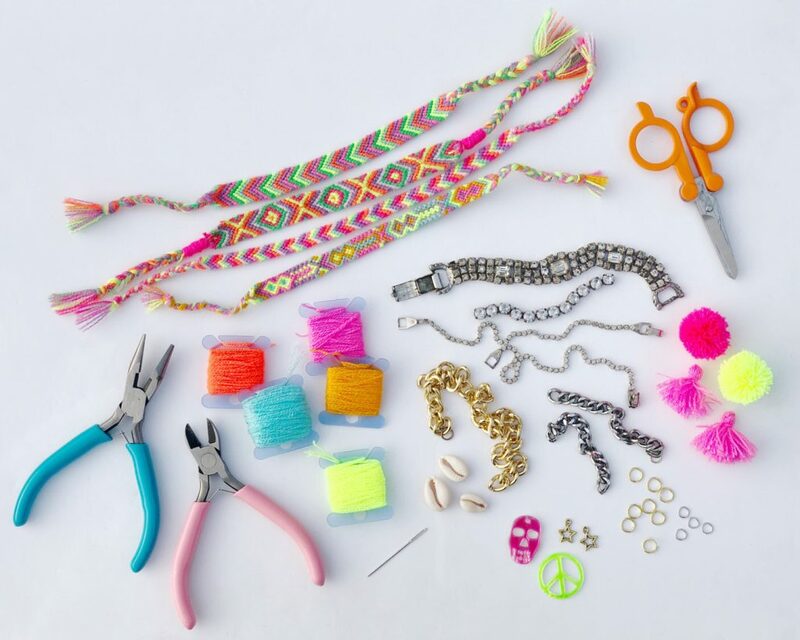 Now it’s time to take your friendship bracelets to the next level and learn how to add some flair with assorted embellishments you likely already have amongst your jewelry supplies and inevitable collection of broken jewelry. I don’t know about you but I absolutely love repurposing little bits and bobs from my favorite jewels when they are no longer wearable. 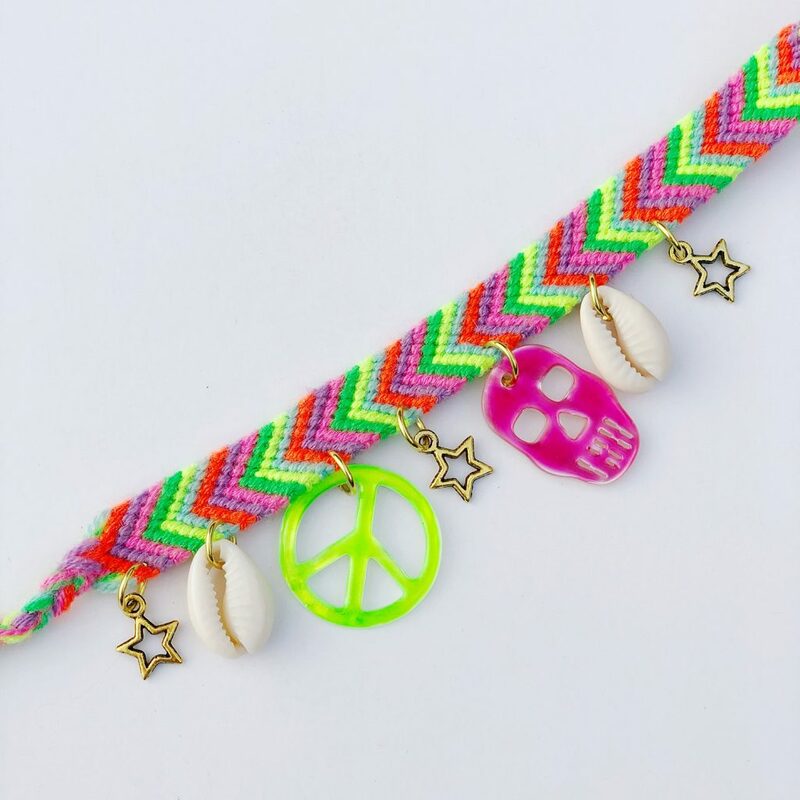 Beads, charms and chains can all be removed from old pieces and attached to new, and friendship bracelets are the perfect way to put those pieces to good use! 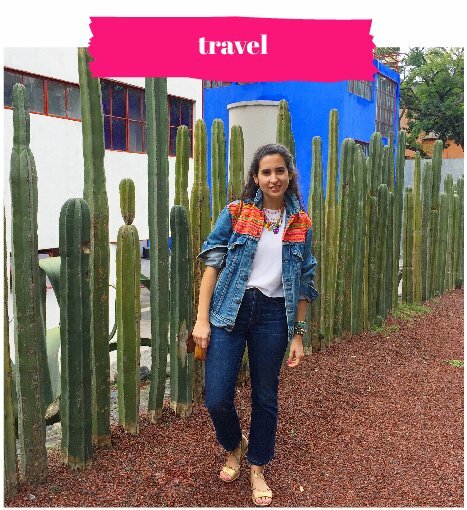 Don’t have any old jewelry findings lying around? You can source almost any jewelry finding from your local craft supply shop or Amazon! 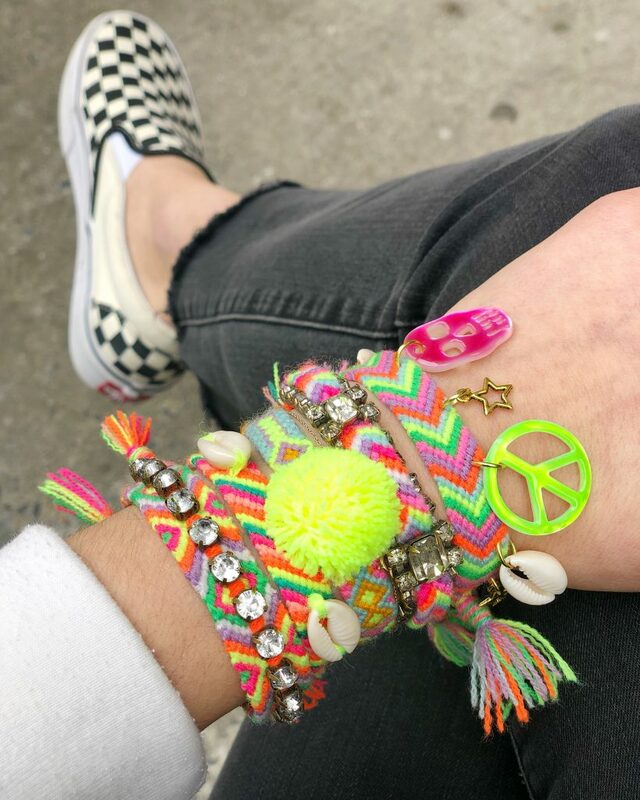 When I was in college about 10 years ago, embellished friendship bracelets were all the rage. Frieda & Nellie were fusing handmade bracelets with vintage jewelry, nearly every accessories shop carried varieties embellished with studs and chains, and Teen Vogue was showing blinged-out styles on the wrists of oh so many of their models. 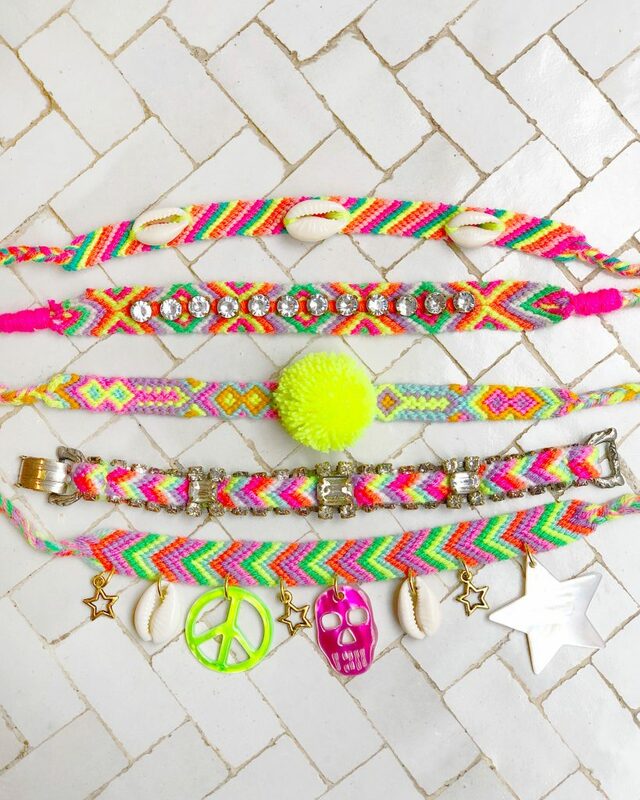 Needless to say I’ve been obsessed with funky takes on friendship bracelets ever since! 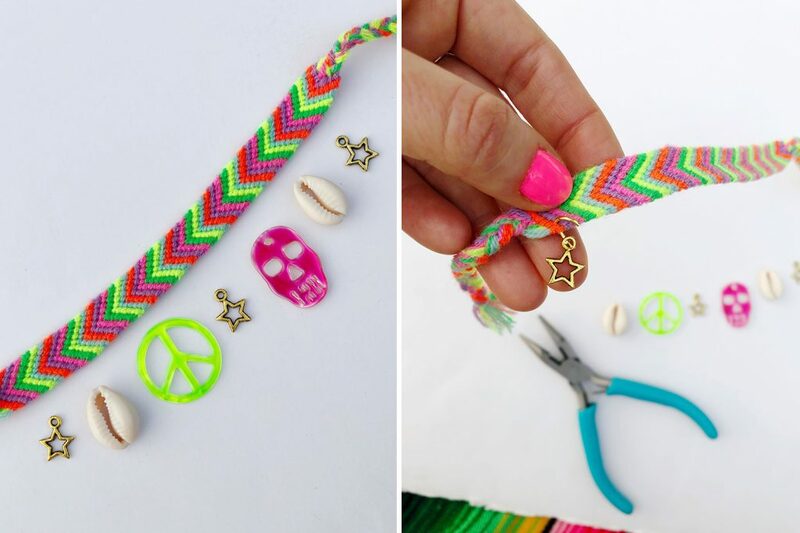 Below you’ll find five ideas for how to easily embellish you friendship bracelets using jewelry findings, jump rings, pliers, a needle and some thread. 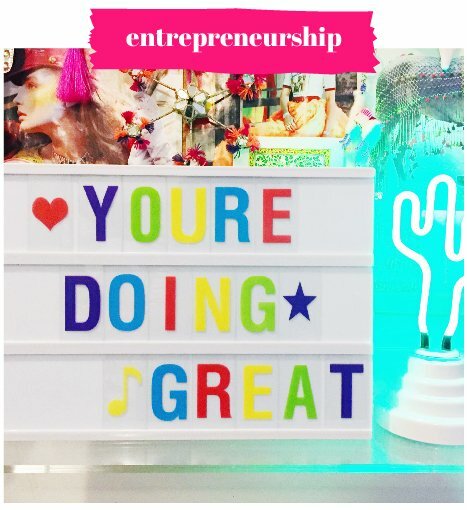 In addition to giving any one of these tutorials a try, I also encourage you to use these ideas as a jumping off point to come up with your own favorite ways to embellish friendship bracelets! These are all suggested items to mix/match/use as you please! Feel free to incorporate any bits, bobs, and jewelry findings that suit your fancy. 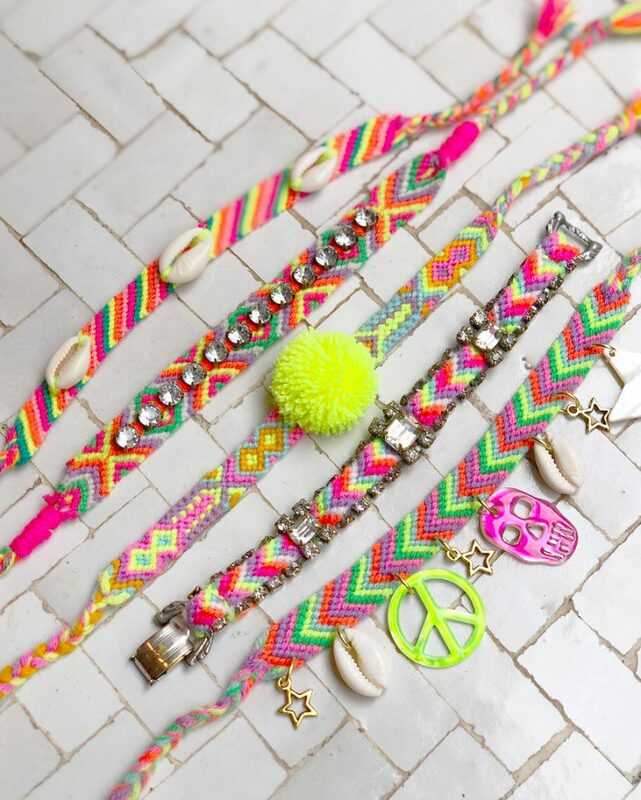 Assortment of friendship bracelets or Friendship Bracelet DIY Kit if you’re starting fresh! 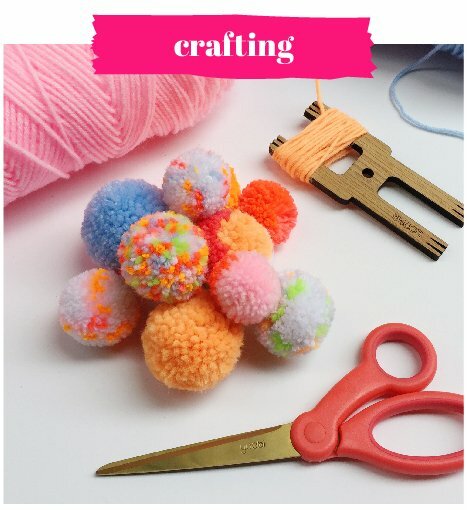 Create a mini pom using a fork and our free pom pom video tutorial. 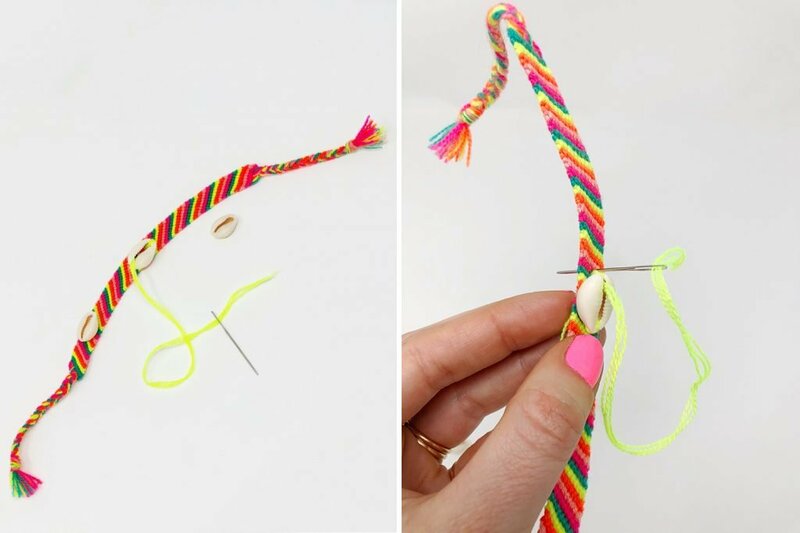 To attach a pom to a friendship bracelet, sew it on using some string/Omegacryl and a thin tapestry needle. Thread your needle and sew under the interior string of your pom, pushing the pom down the string slightly. 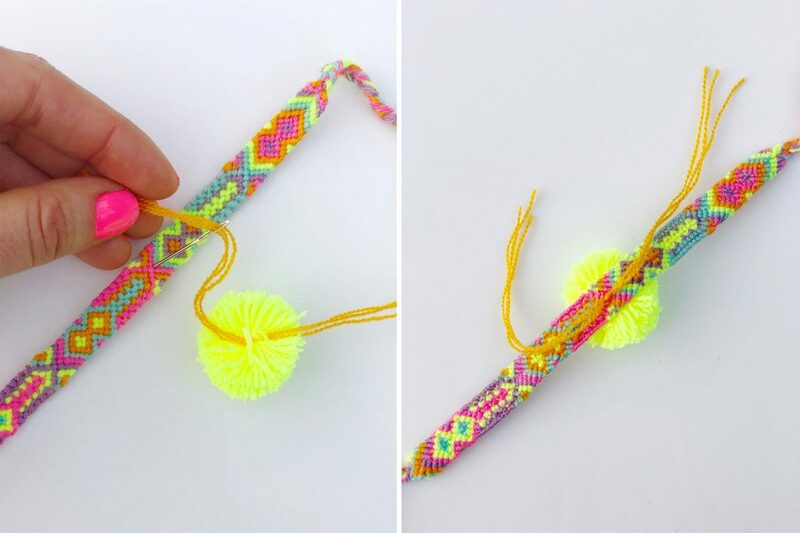 Sew both ends of the string through the friendship bracelet from the top surface going towards the underside of the bracelet. Tie the two string strands together tightly to secure. Gather up some fun charms and beads. Use large jump rings to attach each charm to the bottom edge of your bracelet about two knots up from the edge. Use flat-nosed pliers to close up the jump ring, then repeat with your remaining charms. You can learn how to create charms from beads plus the proper way to open and close a jump ring in this DIY! 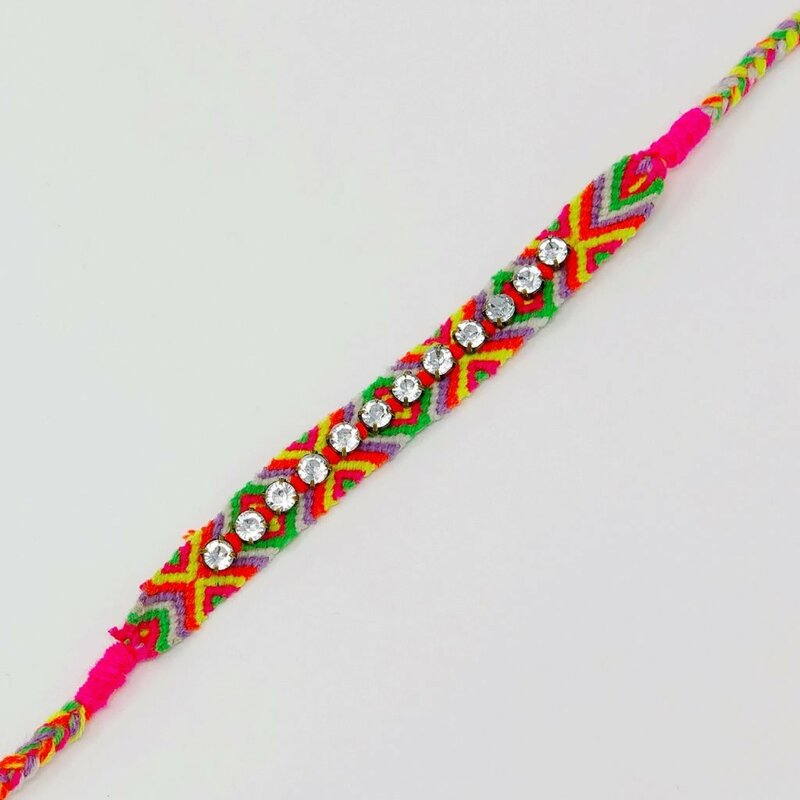 To attach a rhinestone chain to a friendship bracelet, start by threading a long length of string/Omegacryl onto a thin tapestry needle and tie a double knot at the end of your string. Place the rhinestone chain where you want it on the bracelet and sew between the first two stone settings going from back to front so that the knot ends up on the backside of your bracelet. Sew in between each setting at least twice before moving onto the next space between settings. Continue until your entire chain is attached to your bracelet and knot the string on the backside of your bracelet to finish. 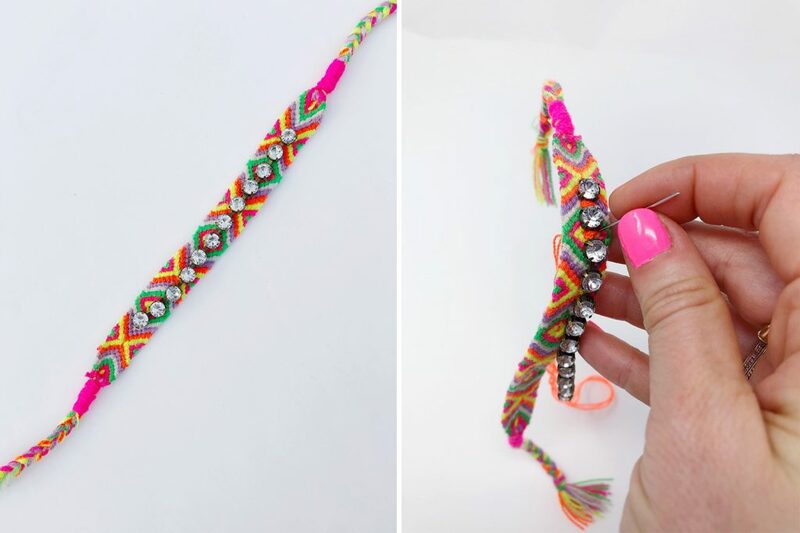 This tutorial can vary depending on the design of your vintage bracelet. 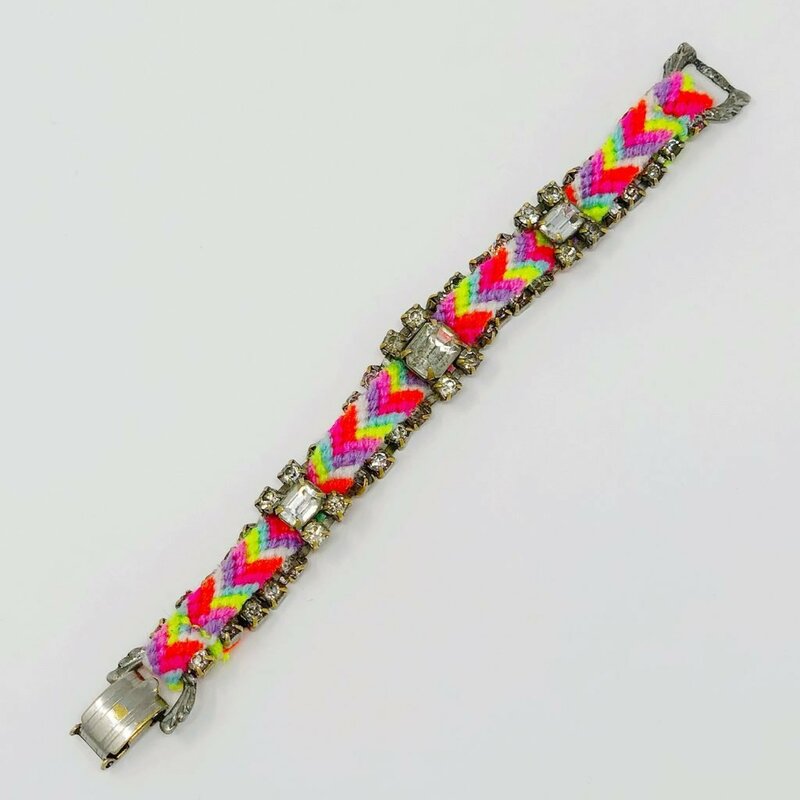 The idea is to find a vintage bracelet that has large spaces between its elements so that you can weave a friendship bracelet through it. 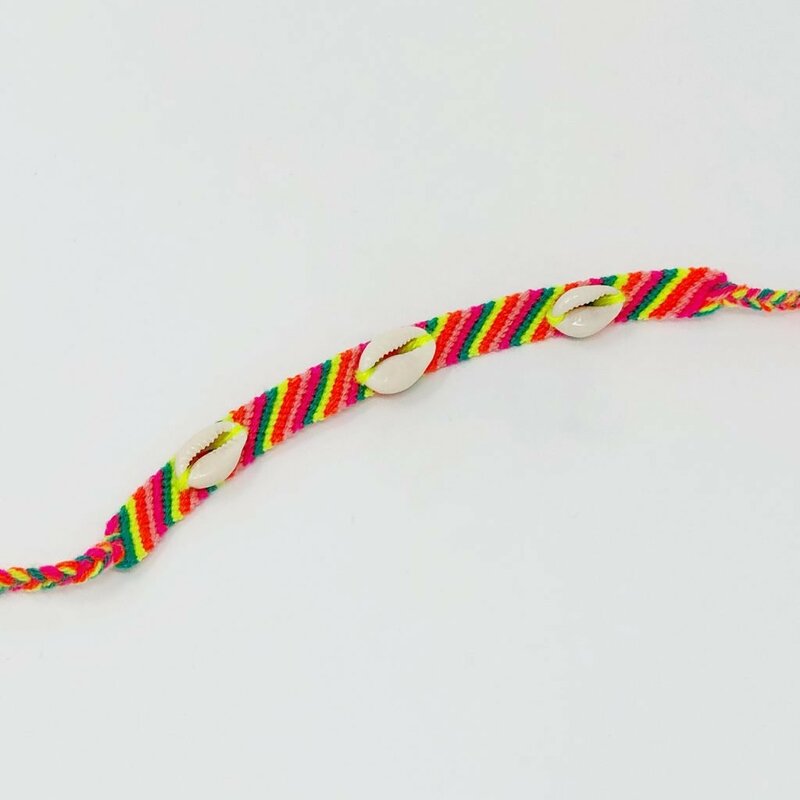 You can use a plastic yarn needle to help you weave your bracelet if it’s being stubborn or hard to control. 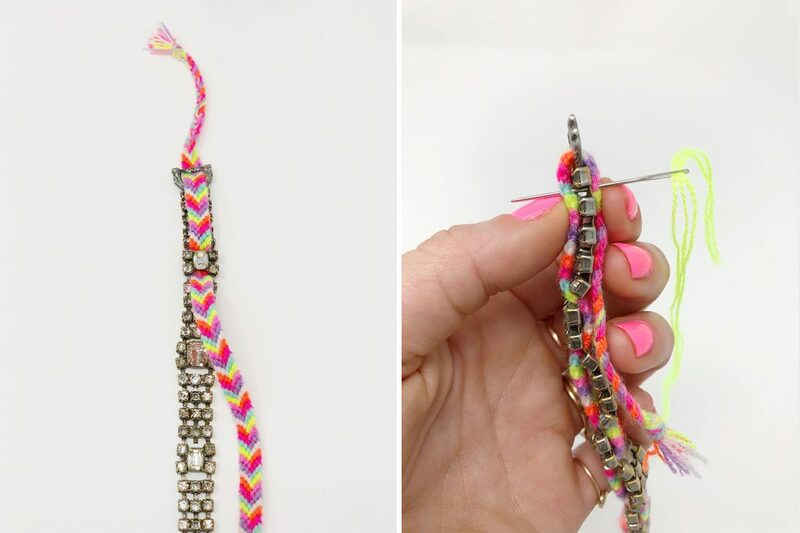 To finish your bracelet, fold each end of the friendship bracelet so that it goes to the backside of the vintage bracelet. Do this by feeding each end of the bracelet through its nearest half of the the bracelet closure. Then, use a thin needle and string/Omegacryl to sew through both parts of the folder over friendship bracelet, sandwiching the vintage bracelet in the middle. This will attach the friendship bracelet to itself as well as the vintage bracelet. Once secure, trim off excess friendship bracelet. You can sew any number of cowry shells (or any type of bead for that matter!) to the surface of your friendship bracelet. Thread a long length of string/Omegacryl onto a thin tapestry needle and tie a double knot at the end of your string. Place the first shell where you’d like it to go (I recommend starting in the middle) then sew the shell on each end, sewing from the back of the bracelet to the frontside so that the knot ends up on the backside. Sew around the edge 2-3 times to make sure shell is secure before sewing the other end of the shell the same way. 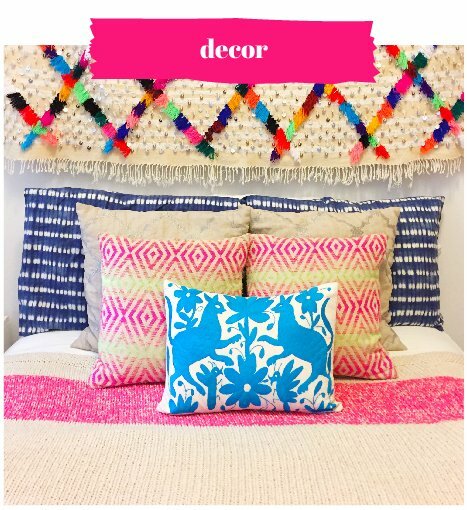 Add as many shells / beads as you like! Et voila! 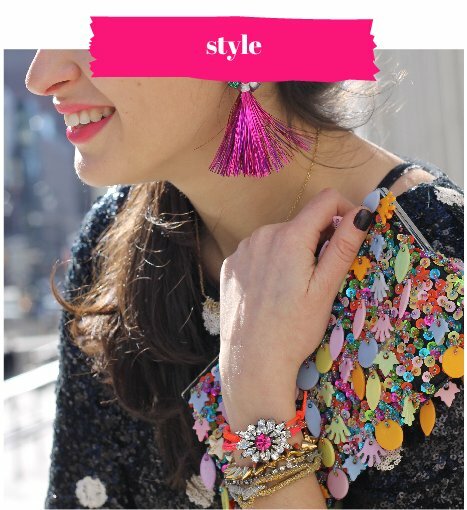 In just a few easy steps your friendship bracelets go from patterned string creations to a blinged- and beaded-out arm party! 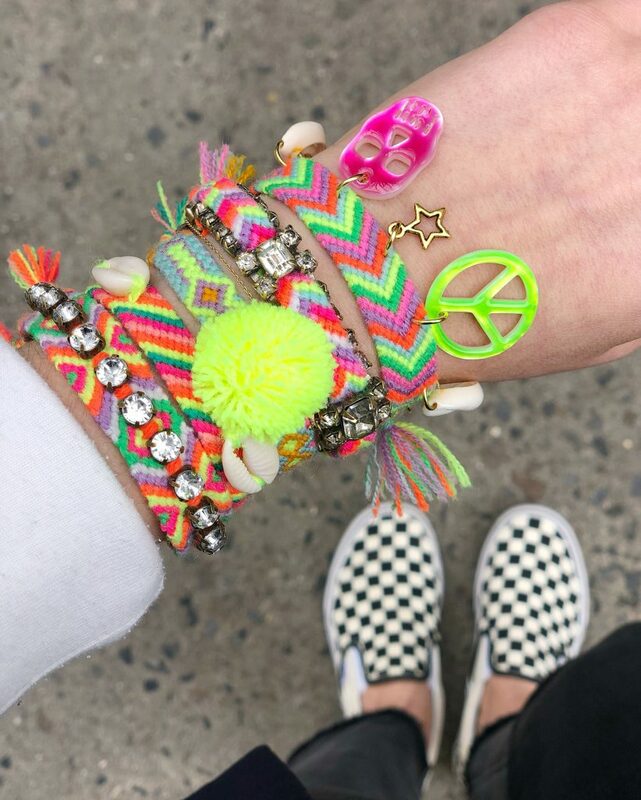 If you’re looking for more inspiration, you can find more embellished friendship bracelet ideas over on our “Embellished Friendship Bracelet” Pinterest board. As always, be sure to let us know if you try any of these ideas by sharing details in the comments or posting photos to Instagram and tagging @theneonteaparty! I love the charm friendship bracelet! I’m going to make some polymer clay charms and embellish a bracelet with them. Thanks for the tutorial! I love that idea, Jenn! I can’t wait to see how your charms and bracelet come out. So cute! !